A long-established tradition held twice annually in Watsco Center on the Coral Gables campus. 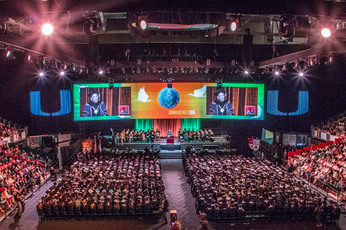 Commencement is a special time at the University of Miami. Our graduates have worked hard, and commencement is our time to celebrate their achievements. Here you will find almost everything you may need to know about the Commencement ceremonies, and where to learn more.